After purchasing my Therm-A-Rest ProLite 4, I soon decided to buy another pad since my wife needed one. I was impressed with the Therm-A-Rest ProLite so much I wanted another one that was similar, but didn’t want to pay all that money for another one. So I joined REI, got a 15% off coupon and purchased the same pad, just called something different because it was made by a different company. The REI Lite-Core 1.5. The Lite-Core turned out to be all that the ProLite was, only a little better. The Lite-Core came with it’s own stuff sack, which was way more light-weight than the Therm-A-Rest stuff sack (however, the Therm-A-Rest stuff sack is way more durable). Also, the Lite-Core came with a repair kit. The good thing about this is that the repair kit can be used for either pads. 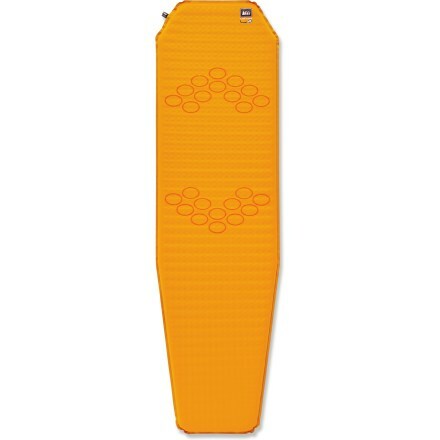 However, one other thing nice about the Lite-Core is that it has silicone oval rings on the top of the pad that helps to keep the sleeping bag in place. My full review on the REI Lite-Core 1.5 can be read here.